I couldn’t believe it! Here, so close to home. An exhibition that included some of the greatest names in Canadian studio ceramics. Hopper, Archambeau, McKinley, Irving, Dexter, Chalke and Sures are just some of the thirty five ceramists represented. But no surprise really: the University of Manitoba School of Art has a long and distinguished history in the medium. Works are on loan from artists, and from private and museum collections such as the Art Gallery of Burlington. She has arranged the works with simplicity and elegance. There is a western Canada emphasis, with the bulk of the works produced by potters living in BC and the prairies, with a nod to Ontario in the McKinley display. There is also a functional ceramics emphasis. This has a special relevance today as many schools of ceramics are fending off the time-worn discussion of art vs craft, or are closing down, or, sadly, are already closed. Exhibitions such as this can hopefully help counter such thinking. The exhibition also includes an extensive catalogue (131 pages) with historical articles by Pat Bovey, Diane Carr, Susan Close, Coll Minogue and Steggles herself; and of course, biographies of the artists. This is one exhibition not to be missed. Enjoy it. Learn from it. At the School of Art Gallery it continues until December 18, 2015. 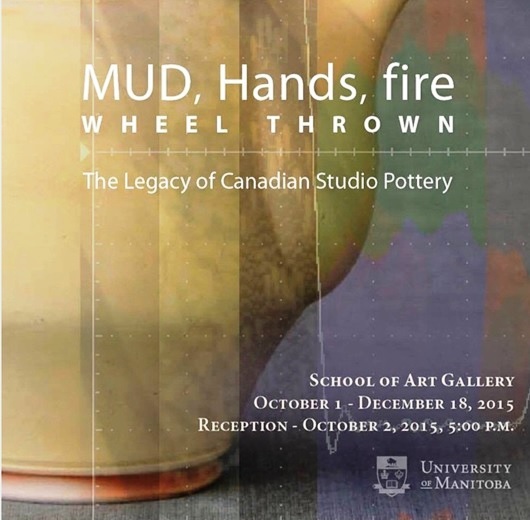 You can see more details on the exhibition at the University of Manitoba School of Art site. 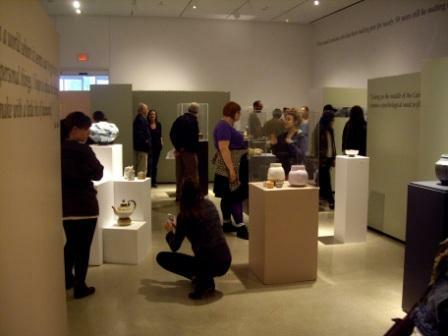 This entry was posted in Exhibitions/Collections and tagged ceramic exhibition, pottery exhibition, Studio Ceramics Canada, Studio Pottery Canada, University of Manitoba School of Art on October 7, 2015 by Barry Morrison. Just in case you do not know, there is an exhibition opening in Calgary of John’s work on Oct. 15th. Check with Barb. Have an enjoyable holiday week-end.